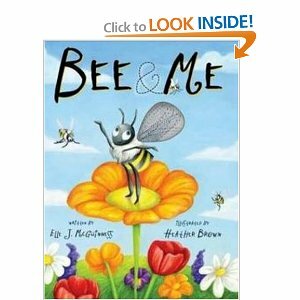 Bee & Me - this is such an adorable book! My girls loved it and I can see little kids just wanting to read this one over & over again especially if you get the ani-motion version like we did. 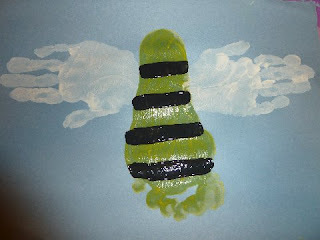 It has a little bee that moves but this isn't just a gimmicky book. The story is very well told and you are sure to learn lots about what bees do and it might even inspire some moral lessons along the way! We really enjoyed this one. Isn't that a cute lil bee? Plus, it's made of the best stuff - your lil one's precious hands & feet! :) LOVE it! 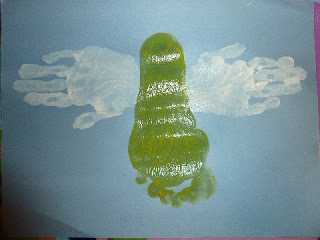 Super cute:) Painting feet tickles - a great sensory activity as well! im your newest follower on gfc! coming over through mingle monday! Love Love Love it! So cute! We love the Bee & Me book too. Thank you for sharing, I can't wait to try this one too! Too cute there girlie! We are going to be working on ants this week! Just stopping by to say Hi and thank you for joining the Tuesday Train ~ what a wonderful idea! Such a precious keepsake! 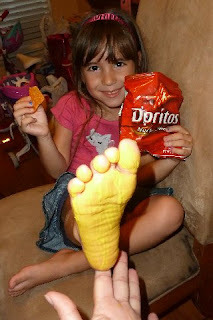 Look at that yellow foot and big smile! Your girls always have fun! 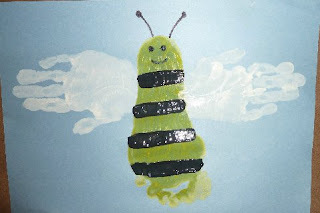 And the bee is adorable! Thanks again for another fab link up to Red Ted Art! I found you over at thirsty thursday blog hop. I am from Mommy2Nanny3Doggy1.blogspot.com and hope you can check me out I have a birthday bash going on with over 10 prizes! have a beautiful day! Another great idea. And so cute. I am so excited to try all these awesome projects with the kiddos. They are all about getting messy. Lol. I'm in school to be a teacher. We teach every semester though. The next semester is kindergarten and I can't wait to try this out! Thanks! This is such a fun book and craft idea! Love it! Thank you for linking to Read.Explore.Learn. This post counts as an entry in Summer Reading Challenge. jijij!! me encanta esa abejita jajaj!! Too Cute! I think we will have to try this one. 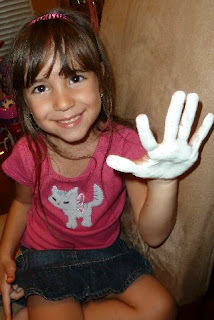 I always love hand & feet print activities! Thanks for linking up at Feed Me Books Friday! The work you put into your themes is amazing! Enjoying all your bee activities and suggestions! Awesome! I love the mess of it all.